Your search found 2 image(s) of leaves of Grass-of-Parnassus species. 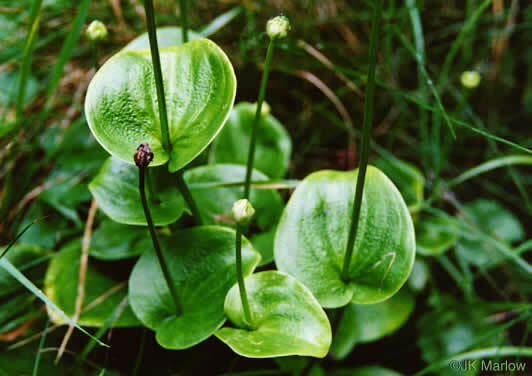 Kidney-shaped leaves 1-2" long and somewhat wider, per Wildflowers of the Southern Mountains. 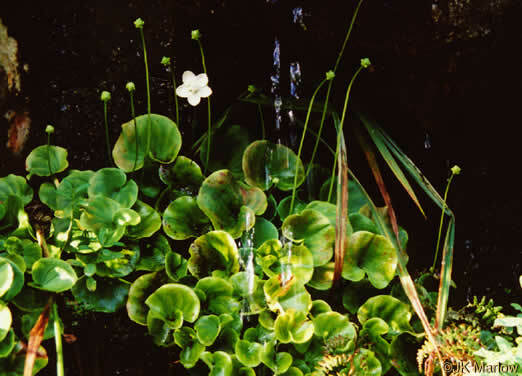 A single sessile leaf, similar to the basal leaves, midway on flower stalk, per Wildflowers of Tennessee, the Ohio Valley, and the Southern Appalachians.